First of all, let us think back to the early ages of advertising when the industry started to emerge and brands were reaching out to their audience, mostly in an analog way, in person, by phone, or in the store. Back then, the audience of these brands had multiple ways to interact and transact but somehow, everything was still not perfectly connected together. Everyone in the industry knows about a situation where a traditional advertising agency and an online agency start to fight over budgets rather than uniting and working as allies. This will and has to change in the future if a brand wants to survive and stay ahead of its competitors. But first, let’s step back a little bit to clarify what we are talking about. 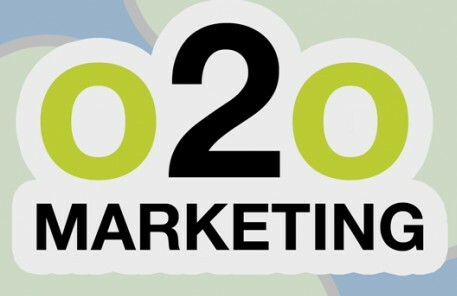 I am sure that you are wondering about the term “O2O Marketing” in the title, and may even be thinking that I am talking about one-to-one, but this is not the case. I am talking about offline-to-online and online-to-offline marketing strategies and examples where both worlds are united and working together. You may say, now isn’t this mostly the case for advertisements and the URL of a brand or QR codes (offline-to-online) or other tools that we can use to reach people online? But these are just links and bridges to another world because most campaigns are just either representations of reality, like newspapers, but do not extend into the digital space in any way or have any direct relation. The simplest solution is referring people to Facebook on a big outdoor billboard which is more or less just informal, versus enticing users to visit a domain site and take the time to see that there is something more behind this issue and obtain additional information. In an inverse way (online-to-offline), have you ever seen brands that leverage their online audience and bring them together in the real world at a promotional event or product presentation? Yes, they do it sometimes but then this is done by simply promoting the event online and there are online opinion leaders who report about events on their blogs as journalists do in newspapers and magazines. So this is nothing new at all. 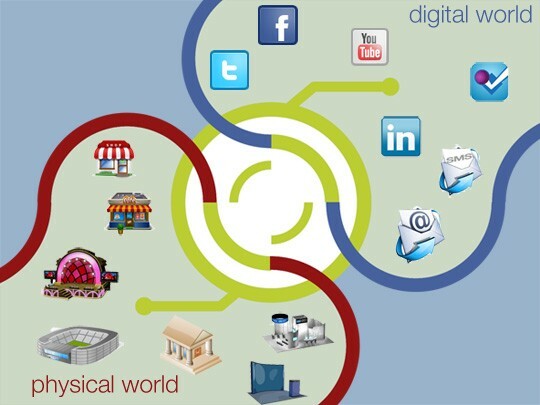 I think that should give you an idea on the definition of O2O marketing and what it can achieve, if done right. To give you a better idea and understanding of O2O Marketing, here is an example of a best practice case study where an infinite brand experience is working in both the online and offline worlds and seamlessly combining them in real time. Let’s take a brand which has properly developed their online social media audience within channels such as Facebook and Twitter. This brand is hosting annual promotional parties in different venues to build and strengthen the brand loyalty of their customers. We all know about these events and like to be part of them. The brand is addressing their audience via its social media channels and invites them to RSVP online to the nearest location where one of their promotional parties are taking place. This time, the brand uses a new system which allows users to link their social media profile with an RFID wristband that also acts as an entry ticket to the party itself. All those who have responded via online RSVP will receive an activated wristband via mail which is already linked to their Facebook user account. When people arrive at the event venue, they can use this wristband to access the venue and automatically check-in at the venue on Facebook. As it is a promotional event, the brand will have several interaction points with different small games and activities for people to take part. All these interactions are also leveraged in real time into user social media profiles and can be seen by their fans and on-site as well on a video-wall. One idea for these interactions could be to give the audience, which is following their friends online, the possibility to leave messages on a dedicated Facebook application on the Fanpage of the brand, which is directly projected to the venue itself. The online audience can also follow the show or the party via webcams in real time. The party takes place in the real world and at the same time in the digital world. This is made possible by all the visitors at the event venue which become brand ambassadors, and help to spread the message of the brand into the digital space. But there is more to it. We all know the best things about a great party are the memories captured in photos. This is possible with a Mobile HQ Photo Solution which enables people to tag themselves by swiping their RFID wristbands next to a tablet. The picture will then be forwarded in high quality resolution and in real time to their own Facebook profile. Just imagine what you can do — you could even start live voting or contests which are initially started and kicked off in the physical world but are integrated into the online strategy of the brand. This example case study should give you an idea about how O2O Marketing can be used where traditional and technological styles of marketing are seamlessly working together in the online and offline space in an infinite way.